Carrie Underwood Unveils New Tour for 2016! With a new album in tow, Carrie Underwood will tour the globe next year! These ambitious plans get underway on January 30th and stretch all the way through May! Underwood will go coast to coast, plus throw in a handful of European dates as well! Tix will go on sale next week Friday, November 6th! View Carrie Underwood Unveils New Tour for 2016! Stadium Dates for Kenny Chesney! 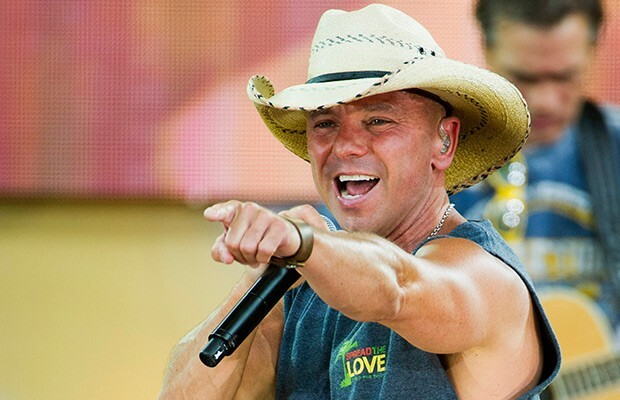 Kenny Chesney will Spread the Love this summer as he announced some Stadium dates! Football & baseball stadiums are NEEDED to hold all of Chesney’s crazy fans and the shows STILL sell out in minutes! Plus, he will have great support on this tour from Miranda Lambert, Sam hunt, & Old Dominion! Don’t miss out on the biggest party of the summer! Kenney Chesney Fan Club members can buy tix as soon as mid-November, and it would appear general on-sale is 12/4, but check with your local venue to be sure! View Stadium Dates for Kenny Chesney!